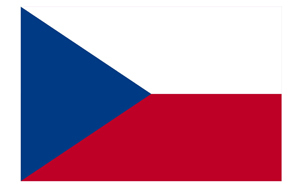 Czech Navy flag is the national flag of the Czech Republic. It is a rectangular cloth consisting of two equal horizontal bands: top - white, and the bottom - red, with the addition of a blue polearms edge of an isosceles triangle. 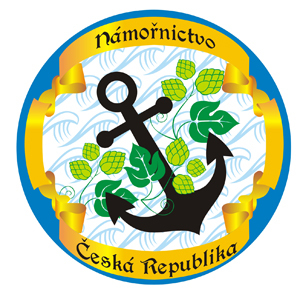 Czech Navy emblem is a circle formed by a golden ribbon on a blue background. In the ribbon at the top of the inscription - Namornictvo, at the bottom - Ceska Republika. 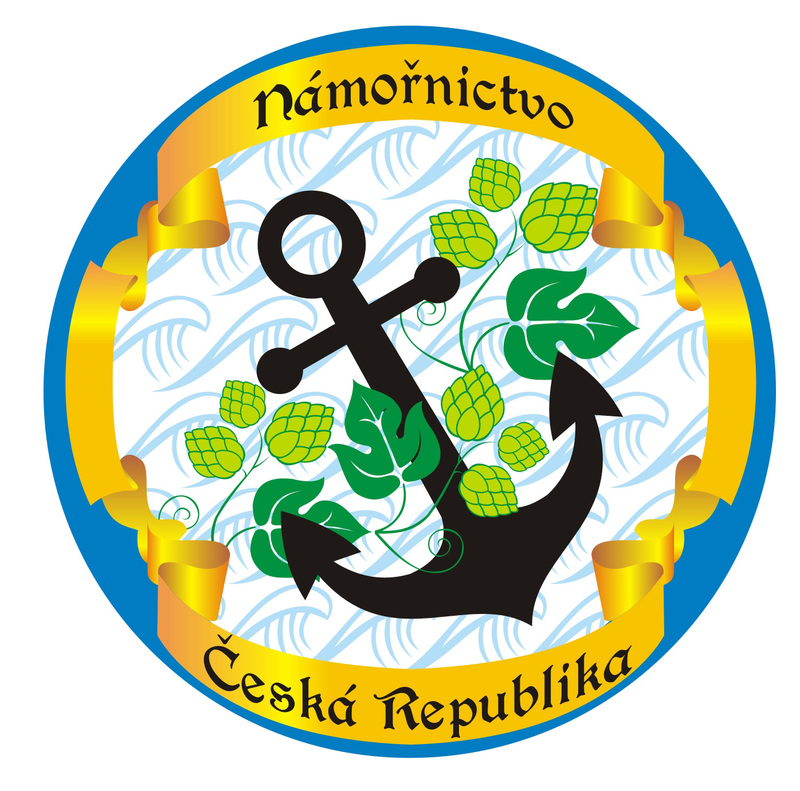 In the center of the logo is an image of crossed malt and anchor amid the towering sea waves.